If you’re in the business of services related to wedding organization, conferences, etc, then creating a professional and eye-catching website is essential to attract the attention of potential customers. Here is a collection of best Wedding WordPress themes we’ve collected, hope it helps you choose the right WordPress themes for your requirements. Friends! One of Best Wedding WordPress Themes that you should not ignore is WS Wedding – Responsive Wedding WooCommerce WordPress theme from Wooskins.com. The WordPress theme comes with lots of features that will help you create a gorgeous and professional wedding website. The main slider offers you the possibility to promote best selling products or special offers in order to attract and impress your clients. 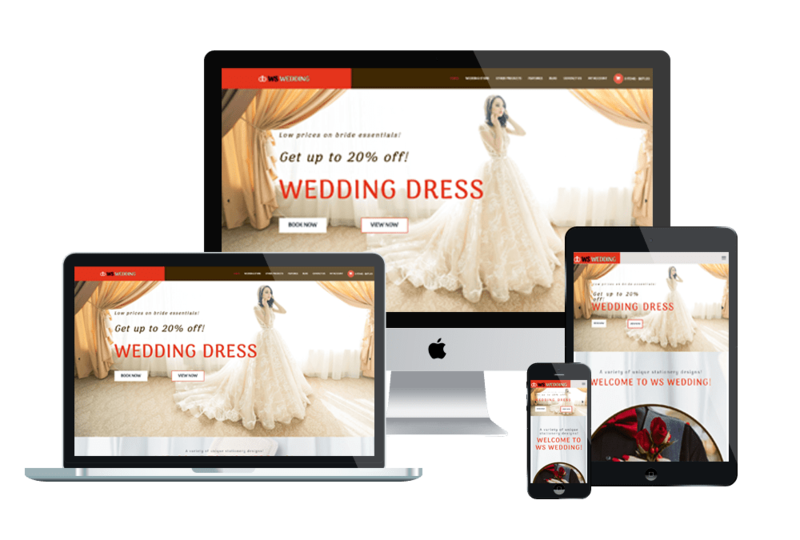 Moreover, with 100% responsive layout, your website will work well on all modern mobile devices, so it will help you attract more potential customers. Choose this theme to build your website, you’ll love it for sure! 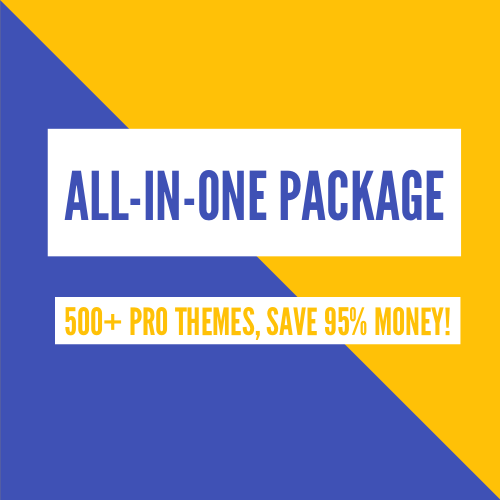 This is also an ideal choice if you’re looking for the best wedding WordPress themes free to build a professional and attractive wedding or event planner website. LT Wedding comes with latest technologies and useful functions that will help you build a gorgeous website with various layouts. It’s also fully responsive layout, so your visitors can observe the contents of your site on their devices. Click to explore more excellent features of the theme. Don’t miss this elegant and creative WordPress theme for your next project. If you like the one-page version, you can refer to LT Wedding OnePage WordPress theme. 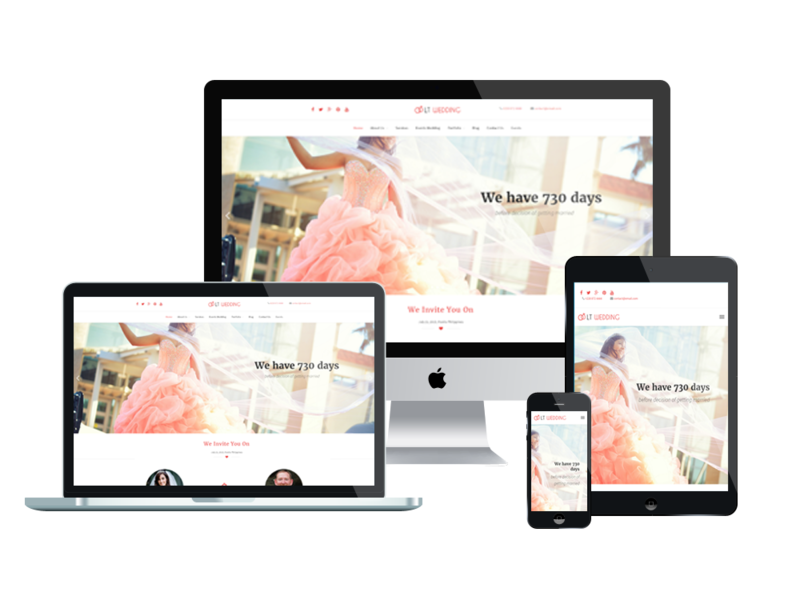 Say hello to ET Bridal – an amazing Responsive Wedding WordPress Theme from Enginetemplates.com. It comes with many excellent features like Fully responsive, Clean and Minimal Style, Strong Framework, Font Awesome 4.3 ( over 510+ Icons) also for menu items, MegaMenu Generator, Off-Canvas Menu & MegaMenu, Article Post Formats, Optional Fixed (sticky) Header and many more. The theme supports 4 color styles, however, you can easily change into another color if you want and create a gorgeous website with websites with various layouts. 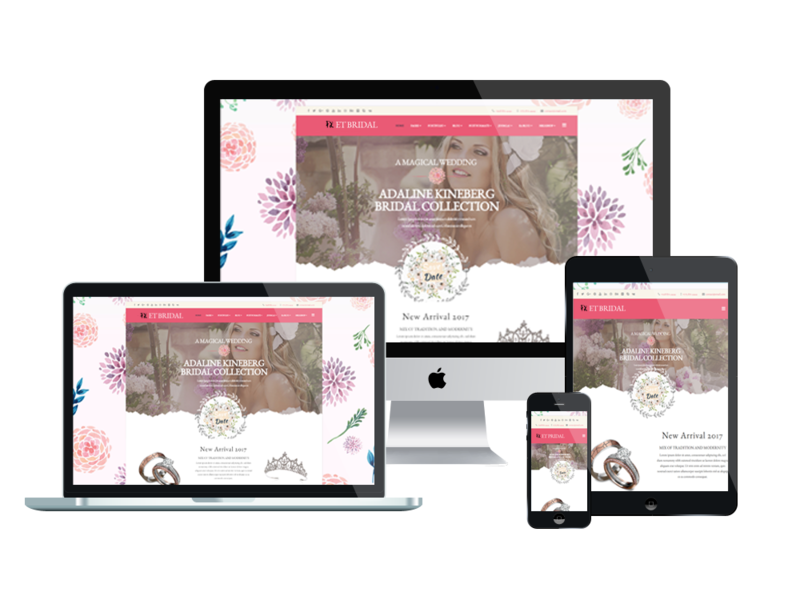 This is an ideal choice for you to create a flawless wedding website without coding knowledge. Have you found the best Wedding WordPress theme for your website, tell us about it in the comments below! And don’t forget to share with your friends if you find it useful! Thanks!